Outpatient knee replacement surgery saves time, money. Scott Cope has spent the past 30 years working primarily as a computer systems designer. 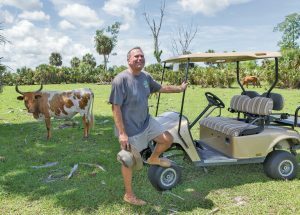 In the two-plus years that have passed since he bought an 18-acre tract of land outside Punta Gorda, however, he’s been moonlighting as a cattle rancher. Following outpatient total knee replacement surgery, Scott is once again comfortably working his ranch. Scott’s involvement has come at a cost. Though he spends a lot of his time on the ranch driving a tractor, his knees have taken quite a beating from all the added outside work. That collateral damage recently left Scott in quite a bit of pain. “It wasn’t long after I bought the ranch and started working outside more that I started to experience a lot of pain in my right knee,” Scott, 58, confirms. “At first, I tried treating it by taking ibuprofen and things like that, but that really wasn’t helping much. When the pain increased to the point where it was prevalent even when Scott wasn’t outside working, he took to the internet to find a doctor who could diagnose and treat the problem. 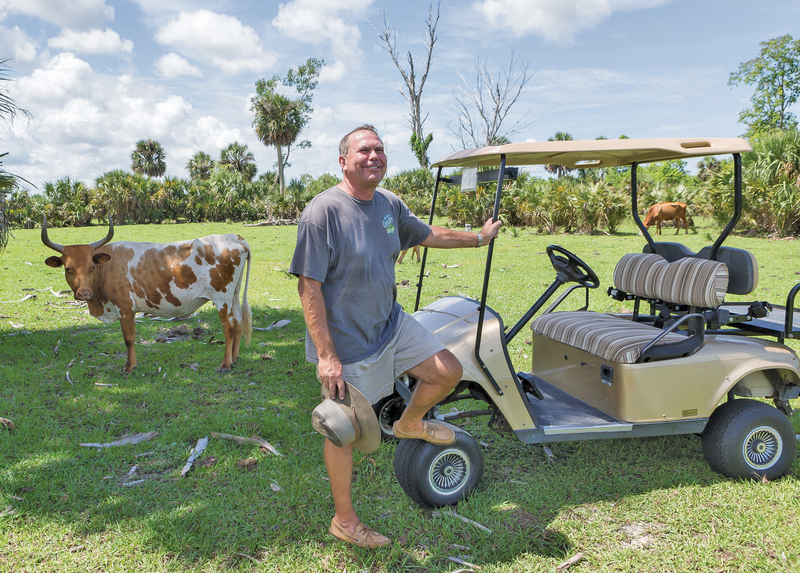 His search led him to the Advanced Orthopedic Center in Port Charlotte. It was at the Advanced Orthopedic Center where Scott met Ronald M. Constine, MD, who soon confirmed through a thorough examination that included both x-rays and an MRI that Scott was indeed suffering from something more serious than a pulled muscle or sprain. In addition to having a tibial insufficiency fracture, the MRI also documented post traumatic moderate osteoarthritis. Dr. Constine’s initial concern was to address the insufficiency fracture of the tibial plateau. This required outpatient arthroscopic surgery with a sub chondroplasty performed which involved internal fixation of the fracture defect with injection of a calcium phosphate mineral bone substitute. Subsequent to the operative procedure, a series of steroid injections unfortunately did not alleviate Scott’s knee pain. At that point, Dr. Constine suggested that Scott undergo an outpatient total knee surgery as definitive treatment. The procedure for outpatient total knee replacement surgery is identical to traditional inpatient surgery in a hospital, Dr. Constine reports. In both cases, the damaged bone and cartilage are removed and replaced with artificial components. However, the process itself is different. In the office the patient receives prescriptions for a number of medications, including pain and anti-inflammatories. Once the outpatient surgery is completed, the patient goes directly home, where the recovery starts with the involvement of a home health based physical therapist. Additionally, outpatient surgery carries a lower risk of infection. 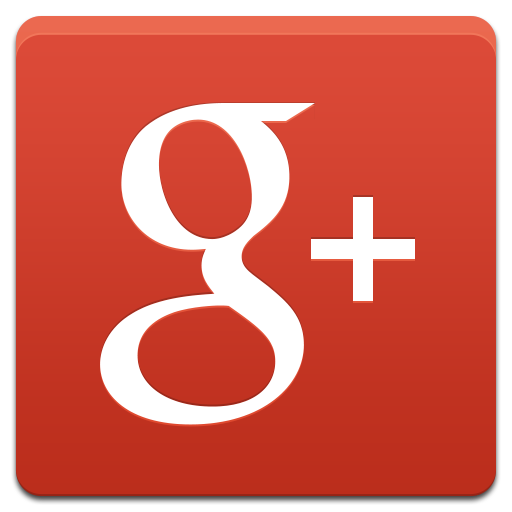 Another great advantage of the outpatient option, Dr. Constine emphasizes, is the cost. The procedure is covered by most non-Medicare insurance plans and because it is performed in a surgical center and not a hospital setting, the savings are substantial. Scott wasn’t all that surprised to hear he needed to have total knee replacement surgery. He says his mother and older brother, both of whom walked with a limp for years because of bad knees, had the same surgery as inpatients. Similar to the inpatient procedure, outpatient total knee replacements are generally performed under spinal anesthesia. The largest difference is that with outpatient total knee replacements, Exparel®, a non-opioid that provides up to 72 hours of pain relief, is injected locally in the surgical wound towards the end of the procedure. The Exparel is one of the factors that, by giving up to 72 hours of pain relief, allows the patient to return home usually within three hours. The use of Exparel has facilitated the outpatient for both hip and knee replacements. In 2017, for example, 15-percent of all total joint replacement surgeries were performed on an outpatient basis, according to Becker’s ASC Review. This year, at least 25 percent of all such surgeries are expected to be done in an outpatient setting. Scott, who arrived at the surgical center for his surgery at 6 a.m. and was back home and on his feet by noon the same day, is among those who highly recommends the outpatient option for all the advantages it offers. “During the first four weeks after the surgery, I was feeling better every day,” Scott reports. “Now, after another month of recovery, I’m feeling better every week, and I’m back to walking long distances without any pain. “I can walk pain free for a mile or two now, and I can go out and work on the ranch and mow, and if the knee swells up at all I just put a little ice on it at night and the next day I can go right back out and do the same thing all over again. “I’m still doing everything in moderation because I’m technically still in recovery, but for the most part everything is back to normal. I am pleasantly surprised with the way everything has turned out, and I couldn’t be happier with Dr. Constine.